April 26, 2018, during the Association’s Annual Conference. NOW, THEREFORE, BE IT RESOLVED that the West Texas County Judges and Commissioners Association expresses its wholehearted thanks and deep appreciation to the Honorable Court of Collin County for its courteous and warm hospitality extended to each of us. NOW, THEREFORE, BE IT RESOLVED that the West Texas County Judges and Commissioners Association expresses its deep appreciation to our generous conference sponsors and exhibitors. Hall County Commissioner James Fuston Sr.
NOW, THEREFORE, BE IT RESOLVED that the West Texas County Judges and Commissioners Association members pause for a moment of silence and meditation to honor the memory of these respected individuals. NOW, THEREFORE, the West Texas County Judges and Commissioners Association and its 118 current member counties do hereby resolve that for the foregoing reasons, it is in the best interests of Texas counties and their taxpayers to support and favor the passage of legislation in the form of an amendment to the Constitution of the State of Texas that would expressly prohibit the imposition of a mandatory governmental program on Texas counties, whether by an act of the Texas Legislature or a state agency or by executive order, unless the State of Texas has fully funded and disbursed all necessary funds to enable Texas counties to operate said governmental program. NOW, THEREFORE, BE IT RESOLVED that the West Texas County Judges and Commissioners Association does hereby express its opposition to efforts to limit local decision making and does hereby oppose any attempts to impose revenue caps upon Texas counties, and the West Texas County Judges and Commissioners Association expresses its deep appreciation to all legislators who oppose these unsound measures. 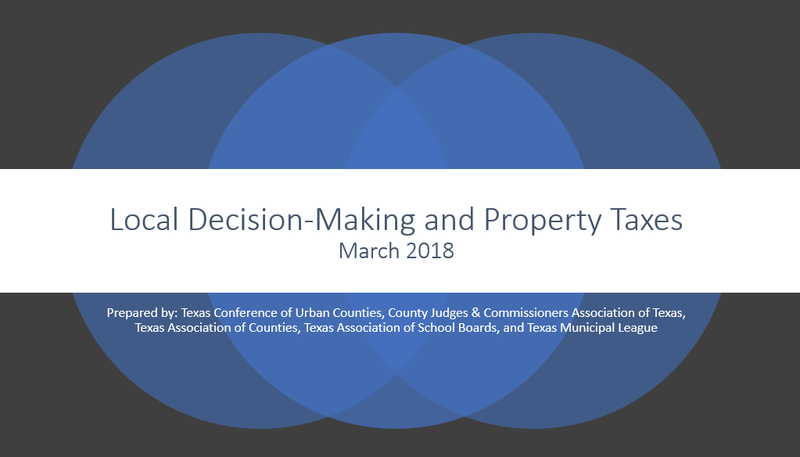 NOW, THEREFORE, BE IT RESOLVED, that the West Texas County Judges and Commissioners Association requests that the Legislature amend the tax statutes to allow the adoption of a county local option sales tax, a local option severance tax, a local option motor fuel tax, an increase in local vehicle registration fees, and other revenue sources for the reduction of property taxes without imposing any additional revenue caps. NOW, THEREFORE, BE IT RESOLVED that the West Texas County Judges and Commissioners Association opposes any attempt to impose a mandatory assessment upon Texas counties to fund a regional or statewide health care system and instead supports the continuation of the voluntary Section 1115 grants. NOW, THEREFORE, BE IT RESOLVED that the West Texas County Judges and Commissioners Association does hereby request that the Texas Legislature fully fund the costs of indigent criminal defense which has cost local taxpayers over $2.6 billion from 2001 through 2017. NOW, THEREFORE, BE IT RESOLVED that the West Texas County Judges and Commissioners Association does hereby request that the Texas Legislature fully fund the costs of supervision of juvenile offenders, including the costs for juvenile probation services. NOW, THEREFORE, BE IT RESOLVED that the West Texas County Judges and Commissioners Association hereby requests that the State of Texas implement additional funding for mental health services and implement the state mental health plan to ensure the efficient and effective use of these resources. NOW, THEREFORE, BE IT RESOLVED that the West Texas County Judges and Commissioners Association expresses its opposition to any state diversion of dedicated funds and supports the state leadership’s commitment to end this practice. BE IT ALSO RESOLVED that any such funds set aside be fully appropriated for the Emergency 9-1-1 Services Program. NOW, THEREFORE, BE IT RESOLVED that the West Texas County Judges and Commissioners Association opposes the granting of additional powers to municipal utility districts and special utility districts and requests that the approval of the county be required before any further districts are created. NOW, THEREFORE, BE IT RESOLVED that the West Texas County Judges and Commissioners Association does hereby request that additional funding be appropriated to support the county road grant program. NOW, THEREFORE, BE IT RESOLVED that the West Texas County Judges and Commissioners Association requests that state law be amended to require a due process permit proceeding and approval by the local Commissioners Court and groundwater conservation district before any permit is granted for uranium mining. NOW, THEREFORE, BE IT RESOLVED that the West Texas County Judges and Commissioners Association hereby requests that no permits be issued for the disposal of sludge waste without the approval of the Commissioners Court and that the Texas Legislature clearly authorize local control of all sludge waste permits. NOW, THEREFORE, BE IT RESOLVED that the West Texas County Judges and Commissioners Association is opposed to any legislative action that would remove current county authority to regulate fireworks. 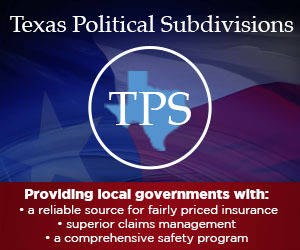 BE IT FURTHER RESOLVED that the Texas Railroad Commission be required to evaluate and consider the full local infrastructure impact and effect on local communities before voting on any such permit. 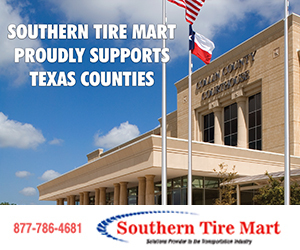 NOW, THEREFORE, BE IT RESOLVED that the West Texas County Judges and Commissioners Association opposes the rules as adopted by the Texas Department of Motor Vehicles amending Title 43 of the Texas Administrative Code Chapter 217. NOW, THEREFORE, BE IT RESOLVED that the West Texas County Judges and Commissioners Association requests full funding, staffing and equipping of the labs to return results in the required legal time to serve justice. NOW, THEREFORE, BE IT RESOLVED that the West Texas County Judges and Commissioners Association requests that a constitutional amendment be adopted to allow counties to grant discretionary homestead exemptions based upon a dollar amount of the taxable value of the property. NOW, THEREFORE, BE IT RESOLVED that the West Texas County Judges and Commissioners Association requests that the State of Texas fully reimburse counties for all costs incurred for the confinement and transport of TDCJ inmates. NOW, THEREFORE, BE IT RESOLVED that the West Texas County Judges and Commissioners Association requests that the maximum county optional road and bridge fee be raised to $20 per vehicle. NOW, THEREFORE, BE IT RESOLVED that the West Texas County Judges and Commissioners Association requests full funding from the federal and state government for the replacement of all voting systems, programming, and maintenance. Wichita County Judge Woodrow W. “Woody” Gossom Jr. In addition to the above-adopted resolutions, the West Texas County Judges and Commissioners Association Resolutions Committee requests that the following items be recommended for future study and consideration. 1. County responsibility for cost of transport, autopsy and disposition of dead bodies. 2. State responsibility for drug-resistant tuberculosis cases and HIV medications. 3. Maintain local control and recovery of cost of reproduction of clerk’s digitized records and e-filing. 4. Proper tax valuation of compressor equipment, refineries and new oil and gas production facilities, and exclusion of new oil and gas interests from the effective tax rate. 5. Full funding for school vaccination program. 6. Require vehicles to reduce speed and/or yield a traffic lane to county road and bridge vehicles and equipment. 7. Require Commissioners Court representation on Regional Water Planning Groups. 8. Request legislation to require state reimbursement for court-appointed attorneys in child protective services cases. 9. Restore full funding for the Texas Historic Courthouse Preservation Grant Program. 10. State funding for all state special elections. 11. Additional funding for sales tax support on fireworks dedicated for local use. 12. More local authority on the regulation of fireworks. 13. Additional county authority over vehicle inspection and licensing procedures. 14. Local retention of asset forfeiture funds. 15. Abuse of the Public Information Act. 16. Abolish the excessive driver’s license fees assessed under the Driver Responsibility Act while maintaining support for trauma centers and EMS. 17. Support and restore county authority to regulate all county buildings and property. 18. Support an exemption from state motor fuel taxes for county equipment and vehicles. 19. Affirm county control of weapons in county courthouses. 20. Support full state funding for lost revenue from disabled veterans and surviving spouses exemption. 21. Review of the equity of ad valorem tax exemptions and the property appraisal process to facilitate a more equitable tax system. 22. State provide transportation for female prisoners or full reimbursement of the cost. 23. Change the day of statewide elections to Saturday.